The Pioneer TOM-M5 is more than a touchmonitor. Designed specifically for touch applications, TOM-M5 sits on a sturdy base and is sealed against spills. It allows additional devices to be integrated neatly, without extra cables or power supplies. Add-on devices are magnetic card reader, barcode slot reader, fingerprint reader, and rear customer display. MSR, Tracks 1-2, USB for Stealth M5 - Works with TOM-M5. Has external USB A connector USB A. 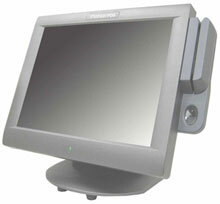 The Pioneer 1M1000R2B1 is also known as PioneerPOS	PIN-1M1000R2B1	.